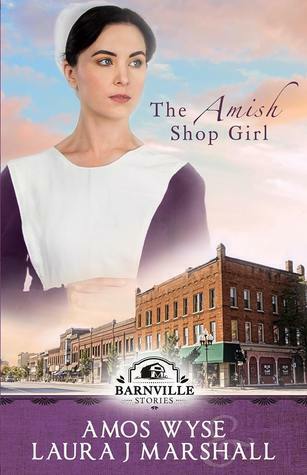 Today I am reviewing The Amish Shop Girl, a new Barnville Story by Amos Wyse and Laura J. Marshall. To the English, she’s “that Amish girl”. To the Amish, she’s that girl who went chasing her “dream man”. Now unable to leave the city, what chance does she have to find her perfect match? I enjoyed reading The Amish Shop Girl. . .
Hannah Hershberger follows her boyfriend, John Miller, to the city, where she discovers that he has bad intentions. But since she signed a lease on her apartment, she’s stuck there for six months. This story is very intriguing, with more than a few surprises along the way. Does John get Hannah in trouble? Does he take advantage of her? Will she stay the six months? Is there a happy ending? Grab a copy of this book and read it for yourself. I’d love to know the answers myself 🙂 Intriguing sounding book!